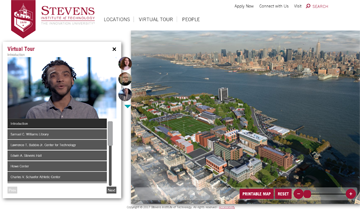 CampusTours Photorealistic and 3D Vector maps are so vivid that your visitors and alumni will be taken aback at the richness and detail. 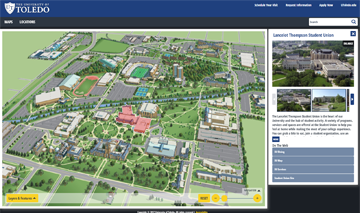 CampusTours signature Photorealistic maps are in use at organizations ranging from the United States Capitol to Villanova University to Lawrence Berkeley National Laboratory. 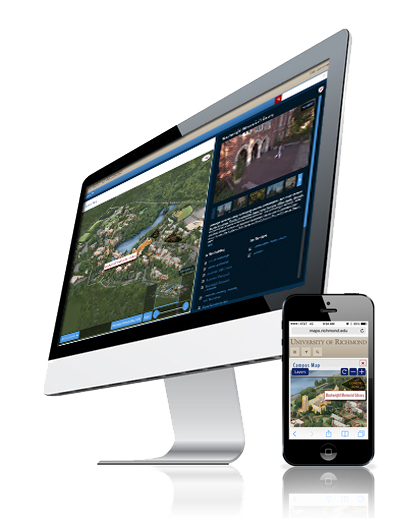 When your campus is your brand, there is no other option - CampusTours photorealistic maps are unmatched in detail and clarity. 3D Vector Maps provide a cleaner, simpler view of your location without the Photorealistic Map detail. Organizations of all sizes can benefit from custom Photorealistic or 3D Vector map artwork. Created a photorealistic map and guided video tour experience. Developed a custom photorealistic map and guided tour experience. 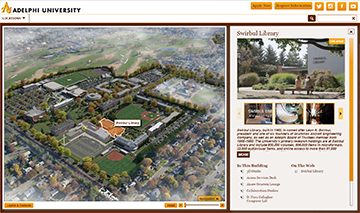 Integrated custom photorealistic campus map artwork into the AnyMap System. 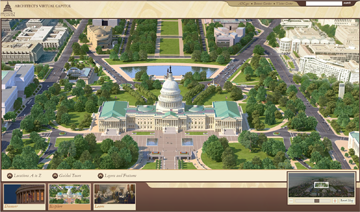 The United States Capitol hired CampusTours to create this Webby-Award winning photorealistic map presentation. 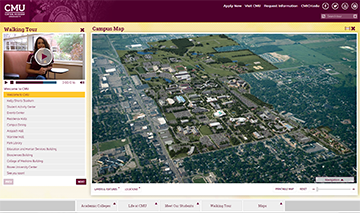 The University of Mary Hardin-Baylor worked with CampusTours to create a photorealistic campus map encompassing nearly sixty (60) campus locations. 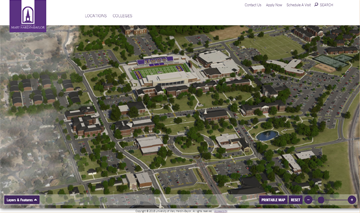 Developed a 3D Vector map and deployed an AnyMap 4.0 interactive campus map experience.